Everyone has different ideas about what their ideal kitchen interior design looks like. Some prefer an open plan where the living, dining and kitchen areas are part of the same floor space. Others may prefer a fully closed kitchen, so that cooking smells don’t affect the rest of the house. That means the kitchen is separated by a glass or wood partition or brick wall, and only accessible through a doorway. But, what if you want something more “in-between”? 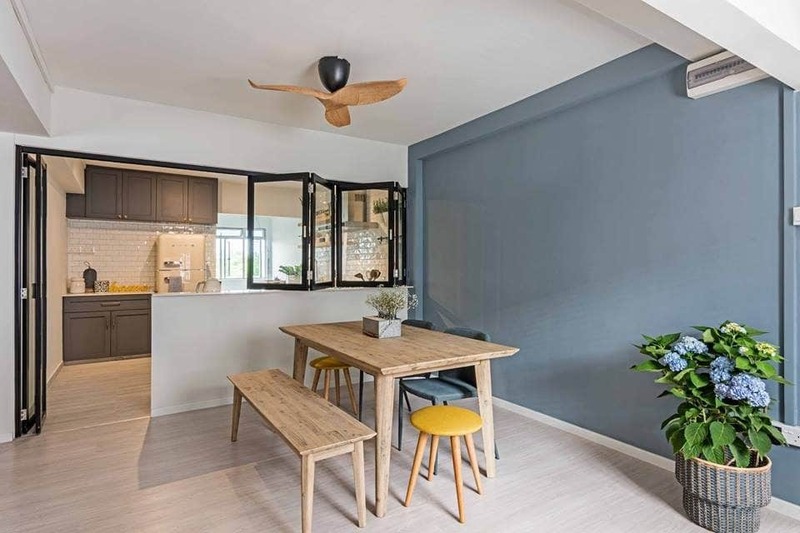 A kitchen that you can close off as needed, but still open up so that it can be seen from the living room? 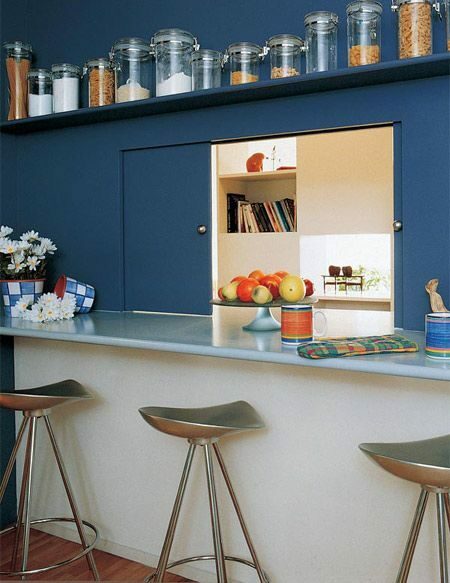 To do that, you need a kitchen serving hatch. A kitchen serving hatch is also known as a kitchen serving window, kitchen access window, or a kitchen pass-through. 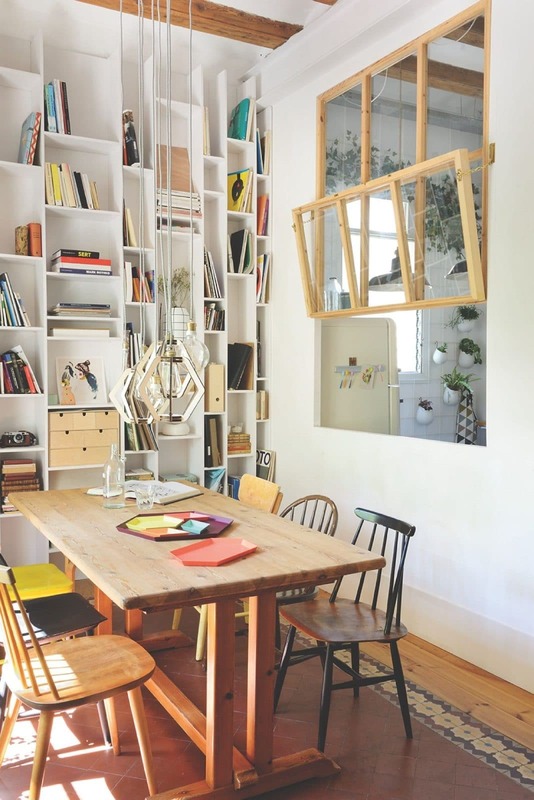 To create it, you need to knock a hole between your kitchen and dining area wall. A kitchen serving hatch lets you pass dishes, snacks and drinks to the dining room quickly, instead of making multiple trips through the doorway. You can also add a serving counter to the opening, as well as bar stools, and turn the space into a breakfast bar. It’s a great alternative to a fully open-plan kitchen, but still allowing you to close it up during heavy cooking. The opening can be closed up using slide-up windows, side-closing glass windows, or even folding windows made of multiple panels. Here are a few examples of beautiful kitchen serving window ideas. Want to make one in your home? Let us know and we will find the best interior designers in Malaysia to give you a quote! Need interior designer for your kitchen? 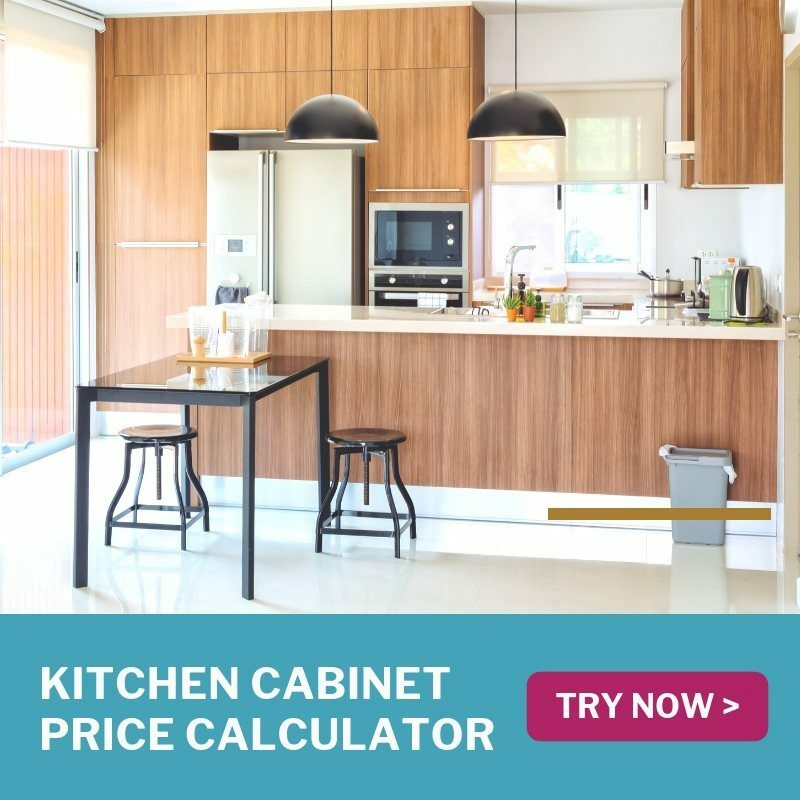 Recommend.my is Malaysia’s best home improvement site. Tell us more about your home renovation requirements and we will get in touch with you! This black frame kitchen window looks classy and edgy. Those sliding glass windows are great as they require very little effort to open or to close. You can also add rustic bar stools to convert it into a bar space with that countertop. It will be such a perfect spot for you to enjoy a meal with your family. 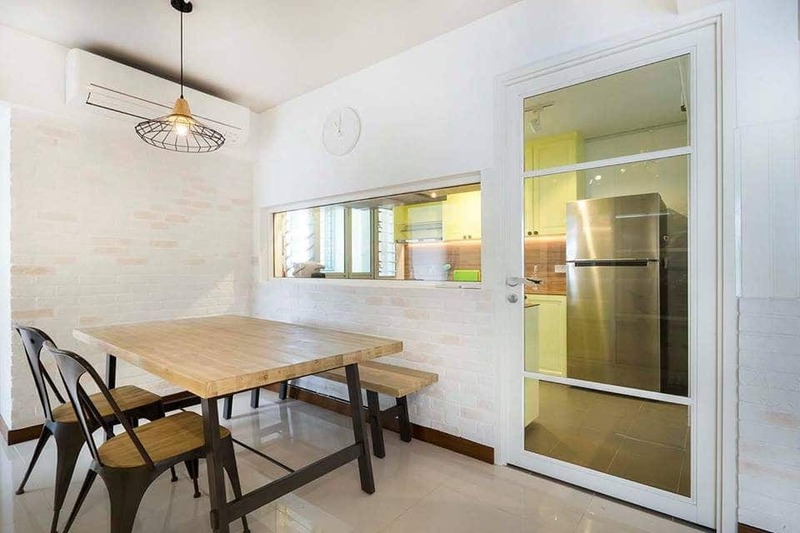 This minimalist inspired kitchen looks warm and inviting. Glass window is such a trend these days and it adds a classy feel to a kitchen’s space. Plus, those kitchen island makes a good entertainment spot for your friends and family. It is long and spacious with a glossy material bar stools. Overall, this minimalist kitchen gives it a very streamlined look. If you still want the option of a kitchen that is as “open” as possible, you can create a serving window that folds up out of the way, and pair it with a large glass doorway. 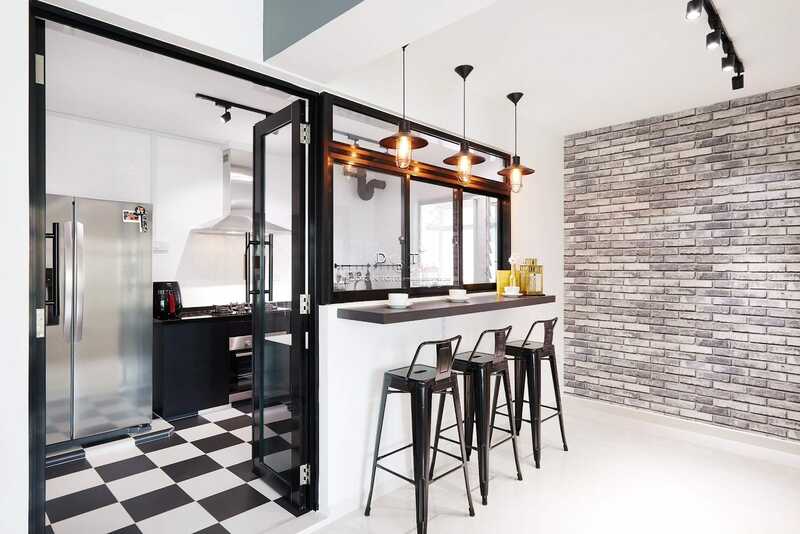 In this example, black is a neutral colour to frame the openings, and it can be used in combination with other colours to create an inviting atmosphere in your kitchen. These black frame glass window nicely contrast with the lighter colour palettes. Ceiling pendant lights are also a great choice to complete the bar look. 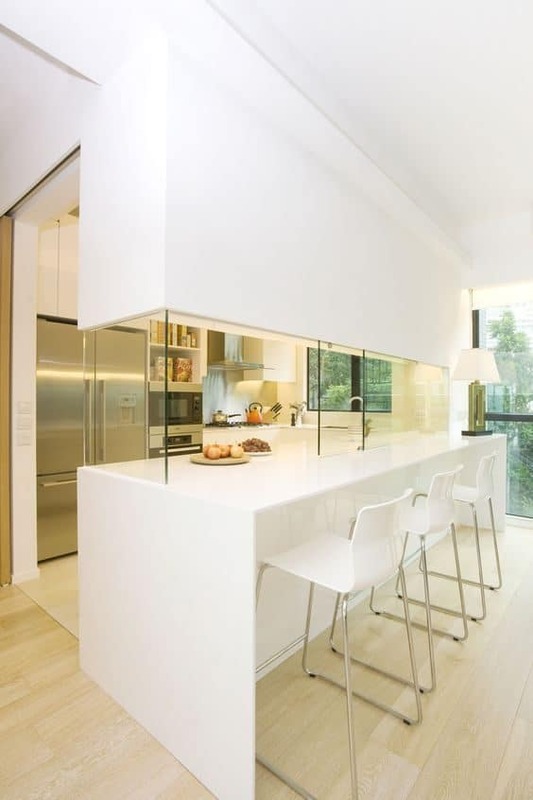 Instead of sliding glass, this all-white minimal kitchen uses a sliding partition to close the window. You can choose to leave it open or to close it anytime you want. This kitchen space is also a perfect size to do cooking, and it provides good amount of storage space. This rustic kitchen works even for small homes. The frosted glass slide-up window is purposeful for prevent cooking odors from entering the dining area. 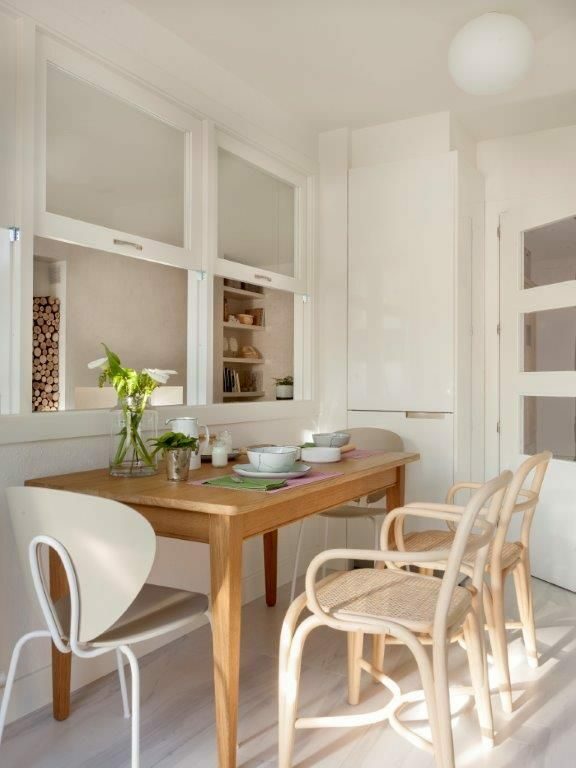 In this design, the homeowner has paired the windows with mixed wooden dining table and chairs, blending well with the all-white kitchen theme. This glass kitchen serving window will make your kitchen look like an artist’s studio. Folded up, those glass window let you see through directly to the dining area. That way, you get to communicate with your family while doing some food preparation in the kitchen. If you love a funky and colourful kitchen, then this classic navy blue kitchen design is for you. Those sliding windows open at the centre, and you can use the counter as a bar area and also to display items. You can add silver bar stools to match with the navy blue tone as well. This large kitchen serving resembles a fancy rojak food truck, but with much more style. It works just as well as a serving window to the dining room, or even for connecting the kitchen to the outdoor side garden if you have a corner house. Spaces like this are perfect to entertain your guests while cooking in the kitchen. Also, to complete this serving space, add a simple metal bar stools. This enclosed kitchen is a basic “hole-in-the-wall”, with glass a window that allows you to see through the dining area while you’re in the kitchen. It is also attached with a glass door to prevent cooking odor from entering the hallway. The kitchen is also made accessible near to the dining area. This is another Scandinavian inspired kitchen design with a unique glass window. The serving windows fold completely away, and together with the door that folds the opposite way, you instantly create an open kitchen with island counter. Those black frame sliding window makes a good blend with the blue painted wall. 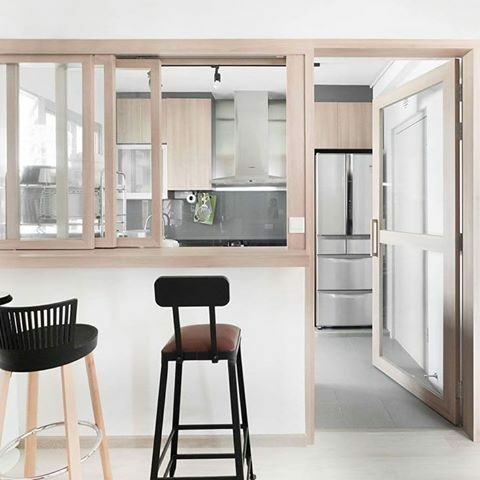 There are also plenty of wooden element in this kitchen that are inspired by the Nordic design. It is easy to match, looks modern, and it gives a very inviting feel to the home. 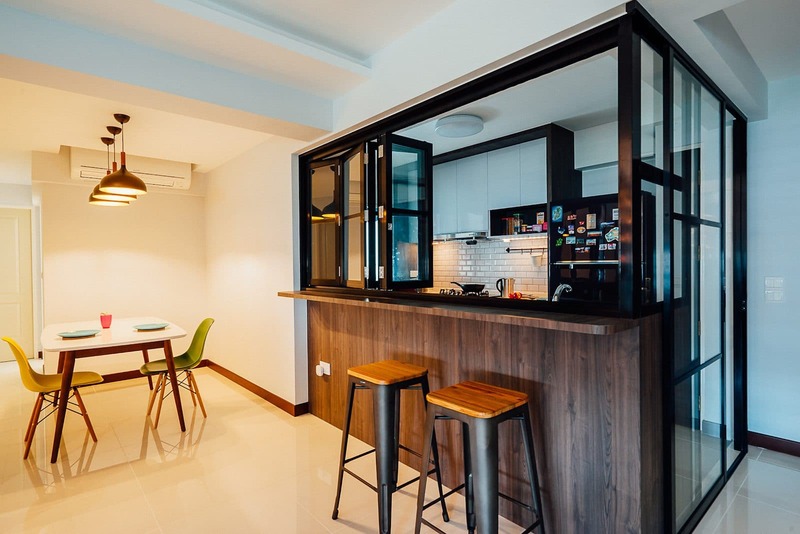 This wooden kitchen gives a very cosy and homey feel to the space. 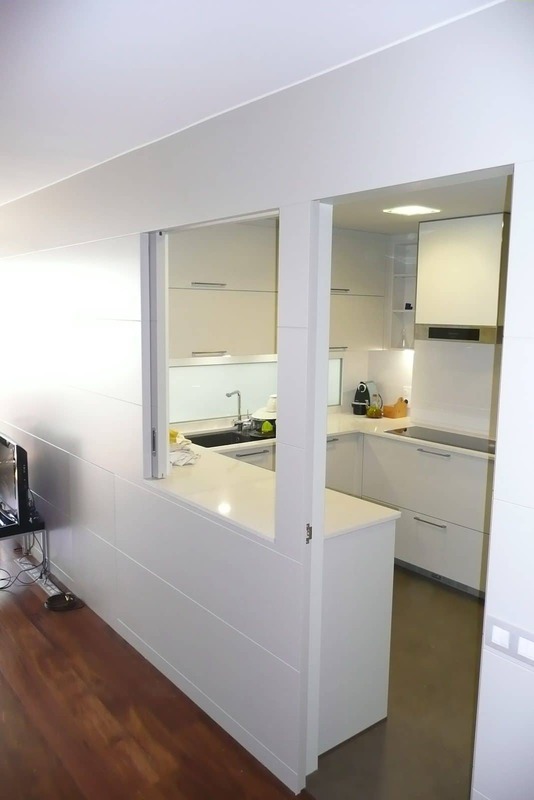 If you have a tiny kitchen, then this type of enclosed kitchen with sliding window works well for your home. 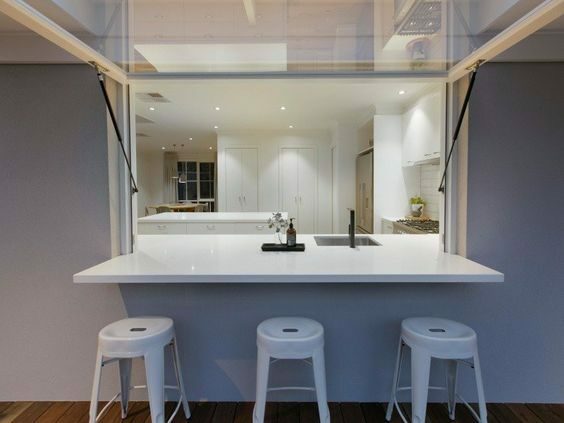 You could even replace your dining table entirely by adding bar stools near the glass window. Recommend.my is Malaysia’s best home improvement site. We have over 700 verified and trusted pros in our directory, and we can connect you with four of the most suitable ones based on your requirements. Tell us more about your home renovation requirements and we will get in touch with you!